Why Sales Experience is Essential for You. Several years back I had occasion to chat with S M Datta, who was the former Chairman of Hindustan Unilever (HUL). It was during his time that Tata Oil Mills Company merged with the Indian unit of Unilever; Brooke Bond India and Lipton India merged together to form one company and that entity was further absorbed into HUL. SM Datta was one of those who had risen from the ranks in his company. He went door-to-door and shop-to-shop in urban, semi-urban and rural areas across the country peddling soaps, shampoos, detergents and toothpaste. It was a tough and grueling schedule that he and several others in the company had to follow but an invaluable learning for the future chairman. “I learned a lot in those days. Interacting with our distributors, the local stockists, the shopkeepers – I don’t think anything can substitute for that kind of field work.” He carried the insights which he got during those initial years and that set the groundwork for his rise in the company. Datta said that he continued this habit of reconnoitering even after he became a senior executive with more responsibilities. Since then many people, I have spoken to, have told me that irrespective of their area of specialization, management school graduates – and indeed all aspiring managers – should have a stint in sales when they start out on their careers. The reason is very simple. All companies make products and services that customers will buy. Unless you know your customers very well – whether they are retail or end-user industries – how will you know what they want? The sales people are the customer facing people and the depth of understanding that they get is unparalleled. Those who go into the accounting or finance fields and then join an organisation, most often have very little connect with the products department, the operations people, the sales and marketing people. I do not mean that they have no clue as to what the company is doing, but they have very little appreciation of what the sales people go through. I have seen a lot of conflict situations arise between the finance and other functions and most of it is due to the fact that finance often does not understand the ground realities – literally!I have known of finance department officials raising all kinds of audit queries whenever other departments – especially sales and purchase – come up with their budgets, requirements etc. Whether you are in the accounting department or in a corporate finance role, if you have a greater understanding of the sales function and the customers of the company, you will be able to do greater justice to your job. The marketing function is one of the most crucial in an organisation since it involves finding new places and areas where a company can sell its products or services. In companies where the sales and marketing functions are combined or overlap there isn’t much problem since the marketing staff will also be responsible for sales. However, in larger organisations, the two are distinct functions and I have heard of marketing staff complain that the sales people were not following up on their leads and so on. Marketing involves a long-term strategy for tapping new markets, establish client relationships, and that includes promotional activities. Sales people, let me repeat it here, function on a more micro level where they deal with customers on a one-to-one basis, match the products to the demands of the customers and so on. Selling is the objective of all marketing efforts. By now you would have understood that marketing and sales have to complement and supplement each other; but this can happen only if both can realize the problems that each would face. For example – a retail company may have established the need for a supermarket in a particular area. However once the shop is set up the sales people may find that the ground realities are different – the local population there may be looking for credit purchases; they may require home delivery; they may want the shop to be open for longer hours; they may want particular products which the shop may not be stocking. A thousand things can go wrong or be different which the sales people will have to cope with. I often say this to all sales employees – the sales force of any company is its ambassadors, its brand managers. Who are the people who come cold calling at your door – the sales people. Who are the people with whom you follow up – the sales people. Who are the people from whom you get knowledge of a product – the sales people. Considering the importance of the sales force, don’t you think that those managing the branding of a company should have some exposure to sales? Yes, the person responsible for branding and promotions etc.,should be creative but also has to have a good knowledge of the company’s customers. Who do you expect the brand promotions to impress – existing and prospective customers! In large companies, the people responsible for creating and developing products or services for customers are often those who have the least contact with them. They operate behind the scenes and depend on the feedback from their sales, marketing and customer support personnel to know how people are reacting to their products. This is, at best, second hand information. I think some sort of a sales exposure to such people would be invaluable as they get direct responses from the consumers of their products. Imagine you are a baker who sells bread and cakes. If you were solely dependent on a sales person to sell your products, you will have very little first-hand knowledge of how your customers are reacting to your products. You would have to rely on your sales person to get the required feedback and you would have no way of knowing whether you are getting the right message or not. If you had an opportunity to talk to your customers directly, wouldn’t that make a difference to you? It is no coincidence that some of the foremost leaders of many leading companies have been sales people and have spent a good part of their lives in that function, listening and talking to people. If an army marches on its stomach, I would say that a company forges ahead on the feet of its sales army. Contributed By : Janaki Krishnan , An entrepreneur in the education and skills sector. Prior to this she was a business journalist. Writing continues to be her abiding passion. This entry was posted by Expert Speak . Bookmark the permalink. 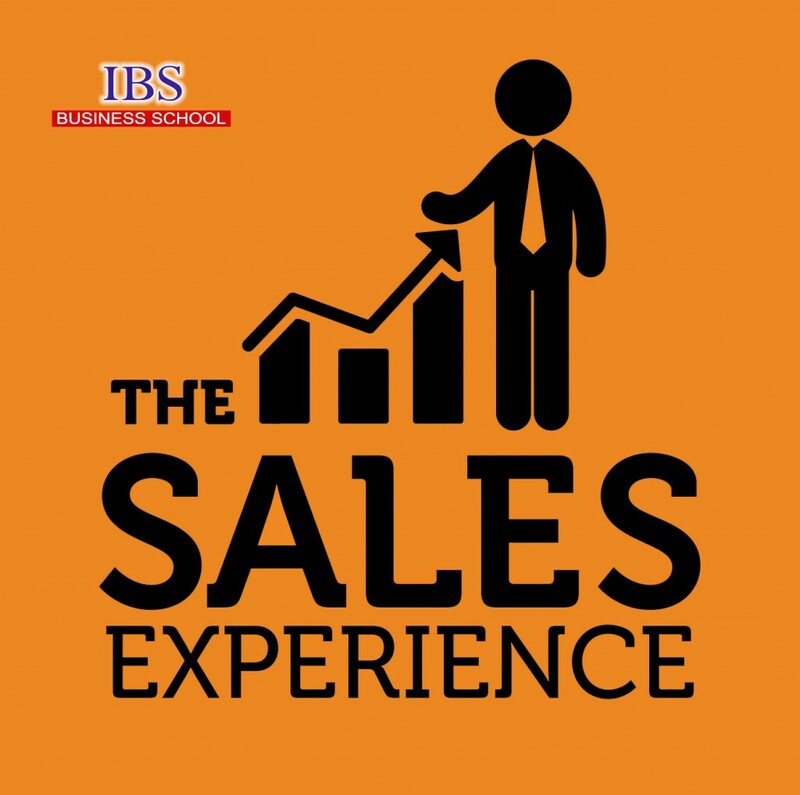 Yes the sales experience is very important for all the MBAs to know. This is must read article for all MBA graduates.